Sometimes life is overwhelming for me, but to have things organized and in the right place makes me feel better and am able to manage things easier, including my anxiety. I do still sometimes sit back and think about how I can improve on what I’m currently doing. It’s easy to get into a rut and not realize it. You might do the same thing everyday and it might not be working out the way you want and when this happens it’s a good idea to look at everything that you’ve got going on and see if there are ways that you can change something. Remember that a routine or a system isn’t going to last forever, you change and so to do your circumstances and for this reason I think it’s important to assess how things are working and what isn’t working. This gives you the tools you need to make any changes to your daily life to make it work better for you and your family. Before you can take on the world, well your home at least, you have to feel in control of yourself first. You can’t organize anything if you feel overwhelmed and unsure as to what you should be doing. That is why I always start with some sort of plan, you need to know what you have to do first, is there any appointments or things that you need to do today? These must be marked on a to-do list or in your planner, you just need a place to record the non-negotiable tasks that must happen, only then are you ready to look at other things in your home. You need to work out what you need to do each day for your day to go smoothly and for things to get done. When it comes to organizing you need to form habits that will help you do things automatically, but habits take time to build. You have to take it one habit at a time and build your list gradually if you build habits into your daily routine things become easier to do. Things are put on autopilot and you don’t think about doing them and it helps to take back control of your home and your life. 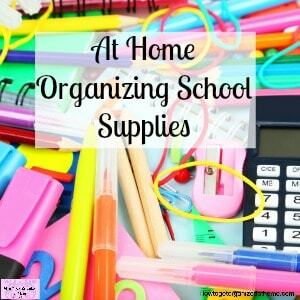 Learn how to get things organized at home by doing little things one at a time. I don’t want you to think that a morning routine is something for other people, you will be surprised how much more you can get from your morning if you are doing things without thinking. Sometimes if you’ve had a rough night, doing your morning routine automatically is a amazing, it gives you more time to wake up but not missing the important stuff that you need to do. Your morning routine will combine things that you need to do for you as well as some things for your home and family. You have to think about what needs to happen in the morning, my morning routine looks like this at the moment, remember this might change if my circumstances change. You can see that in this list I’ve already tided at least 2 rooms before I’ve even started my day. The idea of building routines and habits into your day is to get things done without realizing you have done them. So, you don’t have to think about that item, it’s just something you do. If you are looking for more help when it comes to working out your morning routine then I suggest you take a look at this course. It will help you re-focus on the important areas of your life and get your morning routine back on track. Another great recourse is this book by Marie Kondo all about the art of tiding up. 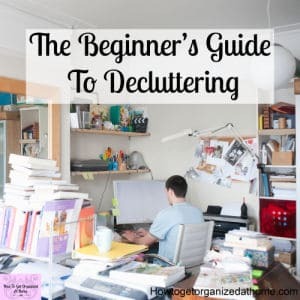 If you need help decluttering the items in your home then you need to check out: How To Begin The Process Of Decluttering. 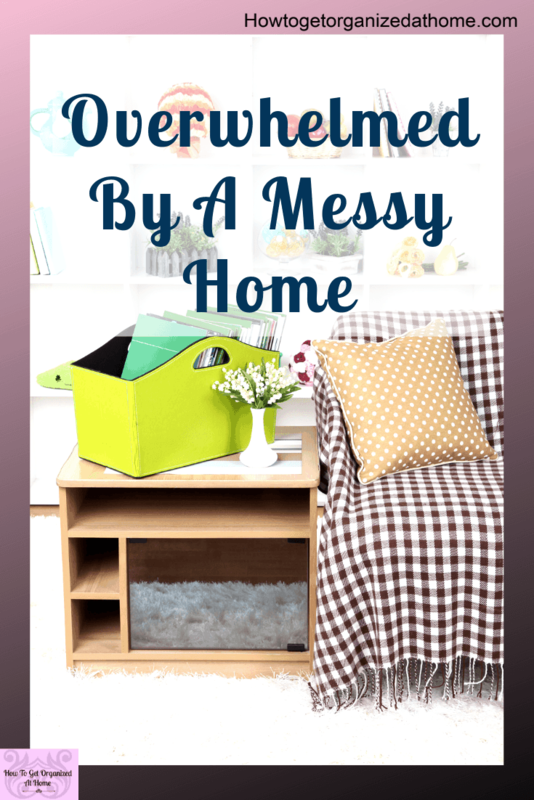 If you are looking for ways on how to get more organized at home, you might want to try this simple activity to really help all family members taking responsibility for their own things. This is an activity that you can get your whole family involved in, everyone tackles the areas that items get dumped in. So, when the kids come in from school and the first thing, they do is dump everything on the floor and it stays where it lands, or was this just my kids? You call them back and you tackle this hot spot together, getting things to where they belong and tackling the chaos. You do this for different areas of your home at different times of the day, like your kitchen after a meal, that pile of post you just put down, the remains of the snack that got left on the coffee table anywhere that collects items that don’t belong there and whoever was responsible for leaving it there. But always remember to help in the beginning! With organizing I think it’s important to take things slowly. If you organize too quickly you don’t give yourself time to get used to a new system or idea. So, starting small and tackle those small projects on a daily basis for no more than 5 or 10 minutes is a great way to get into the habit of organizing. Getting rid of a few items each day and as you get better at this you could increase the number of items each week. So, for the first week you get rid of 2 items per day and the following week it’s 3 items per day and so on. Tackle one drawer in your kitchen each day, take everything out clean it and put only the things that need to go in there back. Find a new home for all the items you have left. If you buy something new, something old has to go. When you leave a room, you have to take something out with you that doesn’t belong there and put it away in its proper place. What you don’t want to do is to get stressed and worry about things, take your time it didn’t take a day for your home to become unorganized, it’s not going to take a day to sort it out either. Don’t be fooled into thinking that if you multitask that you will get more done. In fact, you are probably going to get a lot less done than you thought. You will end up with more things half done and it will make your home look worse and not better. Start one thing and finish it before you start the next task. 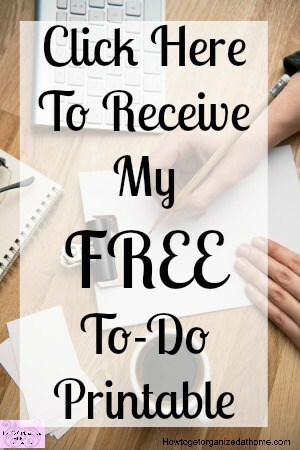 If you have multiple tasks that you need to do, then you need to create a list and cross of the items one at a time as you complete them. Don’t think you can multitask it will end in disaster. If you are hoping for a miracle then you are out of luck! The only way to get organized is one bite at a time. There is no miracle product or thing that you can do that will make the process go quicker or easier, you need to go through your things one step at a time and to do that will be time consuming. You need to find the area that you need the most to be clear from clutter and you just need to start organizing. I know there will be things that you can’t put away because they need to go in another room, and you haven’t started that room just yet. But I always recommend moving them out of the current room because they are going to get in the way. You can tackle them properly when you get to that space, you might want to move to that space next or just have that as a task to do soon. You don’t want to get into the habit of putting off an organizing project as it can then turn into something that becomes bigger than what it really is. It’s all about you! This is quite a statement, but in the long-run it is all about you. You can’t make other people in your home do something; they have to have a desire to do it. Your home won’t get organized and look comfortable and homely if you don’t spend the time maintaining it in the way that you want. No one is going to organize your life for you, unless you are super rich and can afford a personal assistant to help you with every aspect of your life. Unfortunately, you have to take the action and put in the work to clean and organize your home and life. 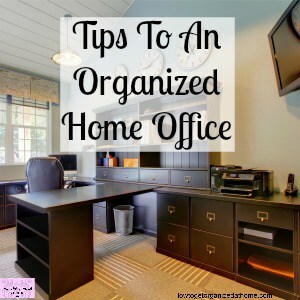 You might hate how your home looks now but working at it every single day will make things happen and you will be able to see the results from being organized in your daily life and in your home. 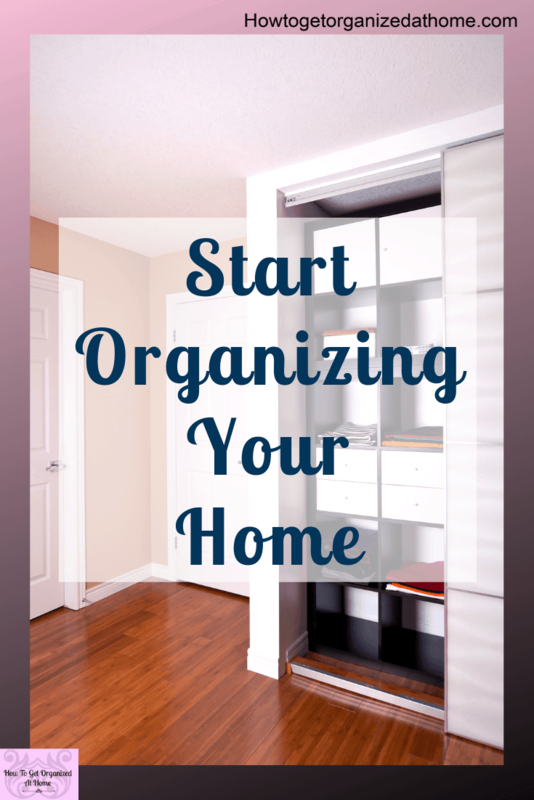 You need to organize yourself before you can really get a handle on organizing your home. You need to know what you need to do first. Take organizing in small steps, it’s not going to change overnight you need to take your time and make little changes each day towards your end goal. 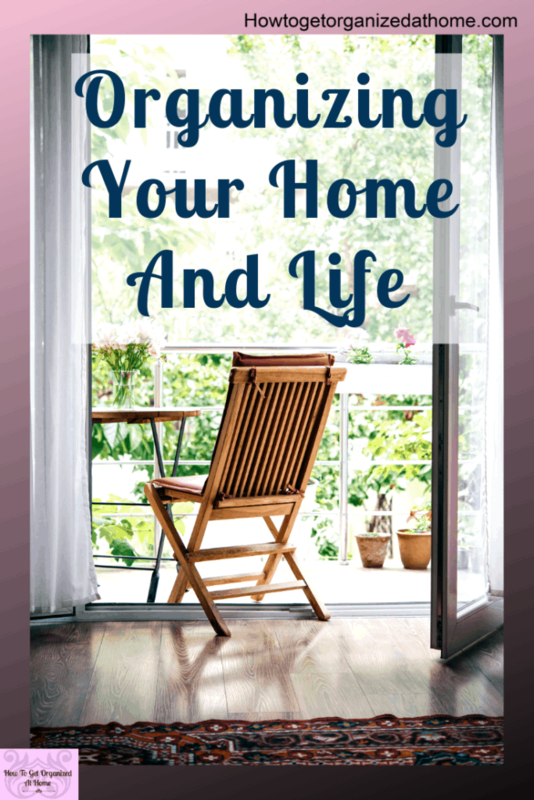 Create rules and routines that you practice each day when it comes to managing your day and your home, like the one in and one out rule or building routines into your day. You can’t make someone else change; it has to come from them. Work on you, make the changes in you and how you want to live your life. Learn to lead by example, your family might surprise you and follow your lead. Having a plan is everything! Great advice here!